The iPad is an astronomer’s best friend. Beginners and advanced astronomers can take advantage of the device to explore our solar system and the stars like never before. 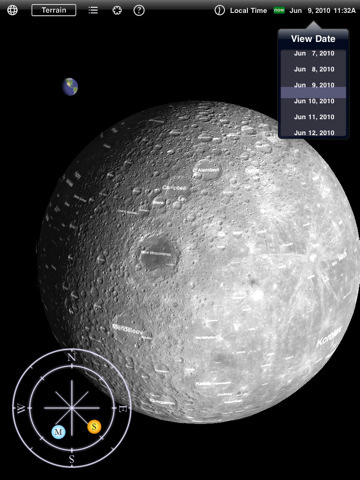 Moon Globe HD is another fun astronomy application that lets users explore the moon on their iPad and find out more about the most important aspects of our moon. 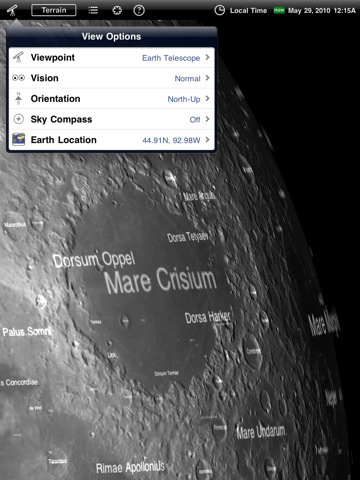 Moon Globe HD puts a virtual moon on your iPad. You can interact with the moon and search for interesting places to explore. The app’s graphics are breath-taking and very realistic. The animations are pretty fast too. The tag cloud over the virtual moon is very useful if you know what you are looking at. 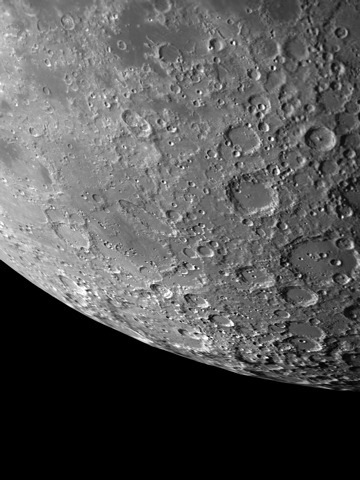 It’s possible to go ahead or back in time and see how the moon changes. Moon Globe HD has multiple modes of display to give you the chance to further explore the moon (anaglyph mode is supported to). The app has a dynamic compass that shows you where the moon and sun are in your sky. Having to ability to zoom as high as 400x makes Moon Globe HD even more fun to play with. The Moon is truly a wonderful and mysterious object. Thanks to Moon Globe HD, you can find out more about it and explore it to your heart’s desire. It is certainly more exciting than any moon book or DVD on the market.